Cat Steals The Show And Stops Entire MLB Game When He Runs Out On Camera… Hahahaha!! Everyone’s attention was turned when the most random occurrence happened at the base ball field one day – this cat stole the entire audience’s attention and the cameras turn away from the game and focus on the cat! 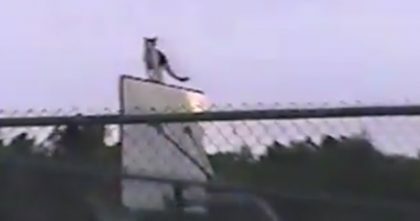 This cat has the real ‘moves’ and climbed right up the side of the vertical TV screen shocking everyone who was watching – Sometimes watching the cat is more entertaining the MLB game, hahaha!! This cat stole the show and the ENTIRE game stopped for him… Just watch the video! 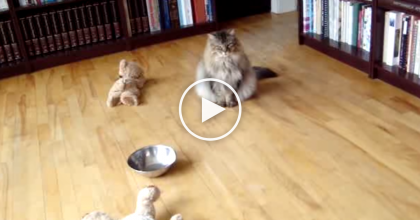 I’d rather watch cats ANY time of day over sports, lol—SHARE if you enjoyed this story! They Were Recording The Tennis Game, But Then Watch The Basketball Hoop… Oh My Goodness, NO WAY?! 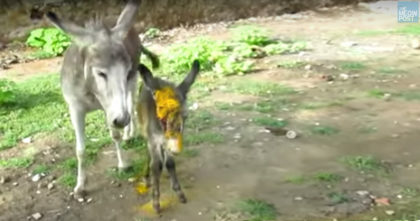 Little Kittens Get Thirsty For Some Milk, But What You See Next… CUTEST Thing Ever!! 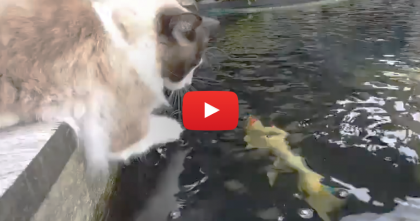 He Puts His Paw In The Water, But Then… I Can’t Believe This Is Happening!! WATCH.